During the Summer of 1969, the Beatles recorded one last time with George Martin. Somehow they put aside their differences (evident during the Let It Be recording sessions) and produced one of their best albums ever. The Beatles Abbey Road album was released on September 26, 1969. 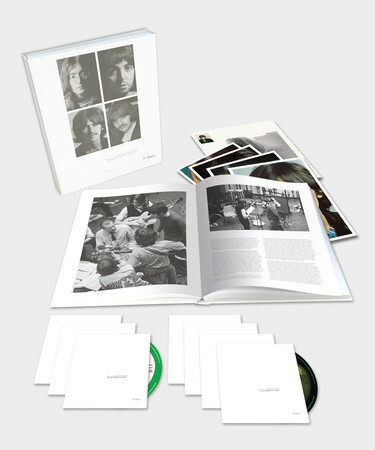 Abbey Road features 17 original songs including eight songs (from “You Never Give Me Your Money” to “The End”) that comprise a “pop-opera” type medley on Side Two of the album. Although Abbey Road is the last album the Beatles record together, Let It Be will be the last Beatles album of new material to be released. For the first time, one of George Harrison’s songs, “Something” is released as a single. It goes to number three in the U.S. and number five in the U.K., establishing George as a talented songwriter in his own right. Abbey Road became the biggest selling Beatles album up to that point selling 5 million copies in the first year, which was 2 million more than Sgt. Pepper had sold. The cover of Abbey Road featured the Beatles walking across the street right in front of the Abbey Road Studios where they had recorded the majority of their songs as a group. Fans to this day flock to the famous street crossing to take their picture walking across Abbey Road. Click here to see the live Abbey Road cam. Paul decided to take a long break from October 1969 to March 1970. He wanted to spend time with his new wife, and new daughter, Mary, born August 1969. During the summer, a radio DJ in Detroit announced a set of clues suggesting that Paul McCartney had died in 1966 and was replaced by an imposter, named William Campbell. He offered several clues from Beatles songs and album covers to support his theory. The “Paul is Dead” rumor spread like wildfire across the U.S., so much so that Life magazine was intent on proving that Paul was still alive. They tracked him down on his farm in Scotland, and he appeared with his family on the cover of Life on November 7, 1969. Even to this day, fans are intrigued by all the clues supposedly linked to the “Paul is Dead” mystery. John Lennon found in Yoko Ono a new direction for his life. He was not happy being a “cute Beatle.” He was ready to move on to new things. Yoko gave him the encouragement and support he needed to break out on his own. John was spending most of his time with Yoko, but forced himself to make time to record again with the Beatles. However, it was just a matter of time before he would express his desire to leave the group. In 1969, John wrote “Cold Turkey” and in early 1970, he wrote “Instant Karma”. These were not credited to the Beatles but to Lennon alone. It’s interesting to note that John was expressing more radical and soul-searching ideas while he was still a Beatle, but obviously these songs would not have fit in with the Beatles image. Paul refused to have “Cold Turkey” released under the Beatles name since it was about drug withdrawal. John would be the first Beatle to perform solo when he took to the stage in Sept. 1969 at the Toronto Rock and Roll Revival Festival with The Plastic Ono Band which included Eric Clapton and Klaus Voormann. John was ready to quit the Beatles after his performance in Toronto, but he was convinced to stay because of financial and legal matters regarding the Beatles record contract. Since Brian Epstein’s death, the Beatles were becoming less and less of a tight unit and more like four separate musicians who happened to play together sometimes. Without Brian to guide them as a whole, they were falling apart. They created their first creative flop with the film, Magical Mystery Tour, and they created a huge financial flop with their company, Apple. Apple was losing money non-stop since many of the ventures were being run by people without good business sense. For example, the Apple boutique was such a disaster that the Beatles decided to close it only 8 months after it opened, and they gave away all the merchandise for free. The Beatles were losing money fast, and even though they agreed to manage themselves, they still needed attorneys to clear up certain legal matters. Paul had great faith in his soon-to-be in-laws the Eastmans who were successful entertainment lawyers in the U.S. They began advising him on financial matters. 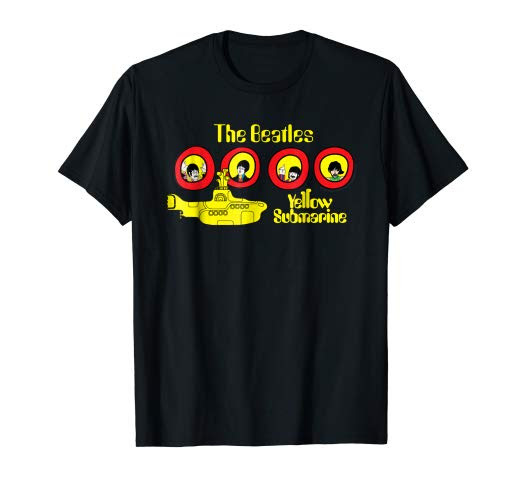 However, the other three Beatles did not trust the Eastmans because they were not objective since they had ties to Paul. They wanted someone from the outside to represent them. Enter Allen Klein. John, George and Ringo were committed to having Klein represent them. For another client, the Rolling Stones, Klein had obtained a better royalty rate for them on their records, an even better rate than the Beatles had. But Klein did not have a clean record. In years to come, news would come out that Klein had kept major amounts of money due to his clients including the Stones and Donovan. The Eastmans advised Paul not to sign a contract with him. But majority rules, and since the other three Beatles agreed, Klein was now representing the Beatles. Klein was able to get the Beatles a better royalty rate with EMI which extended their contract through 1976 and allowed EMI to repackage old material. Although Paul couldn’t complain about the new royalty rate, he never signed the contract giving Klein permission to represent him individually. If there was tension before, now with Klein dividing the group, the tension between the Beatles rose to new heights with Paul against John, George and Ringo.